The recent decision of High Court in Australian Building and Construction Commissioner v Construction, Forestry, Mining and Energy Union  HCA 3 will alarm unions and their officials: if a union official breaches a civil remedy provision in the Fair Work Act 2009 (Cth), they may be ordered to pay the penalties personally, without seeking or accepting an indemnity or a contribution from their union. Mr Joseph Myles, a former Vice President of the Construction and General Division of the CFMEU, had demanded that a CFMEU delegate be allowed on a construction site at Footscray, Victoria for the City to Maribyrnong River Project Package B, being part of the Victorian Government’s Regional Rail Link Project. This was a lawful request that the joint venturers responsible for the work at the site engage in industrial activity for the purposes of the Fair Work Act. The joint venture was entitled to, and did, refuse the request because a delegate from another industrial organisation, as a party to the relevant enterprise agreement, was already on the site. Mr Myles then blockaded an entrance to the site, which prevented the entry of concrete mixer trucks and resulted in the spoilage of large quantities of wet concrete intended for pouring, and wastage of concrete already poured before the blockade began. He later threatened to repeat the blockade to stop future concrete pours unless a CFMEU delegate was permitted at the site. At first instance, the primary judge (Mortimer J) found the conduct was deliberate and knowingly unlawful and made declarations that Mr Myles and the CFMEU had each engaged in three contraventions of section 348, which prohibits action (or threatened action) taken or organised, which intends to coerce a person to engage in industrial activity. Her Honour imposed pecuniary penalties upon Mr Myles and the CFMEU of $18,000 and $60,000 respectively: Director of the Fair Work Building Industry Inspectorate v Construction, Forestry, Mining and Energy Union (No. 2)  FCA 436. Her Honour also ordered that the CFMEU was not to indemnify Mr Myles against the penalties, for a stronger deterrent effect given their history of contraventions, and relied on s 545(1) of the Fair Work Act as the source of power to make the order. 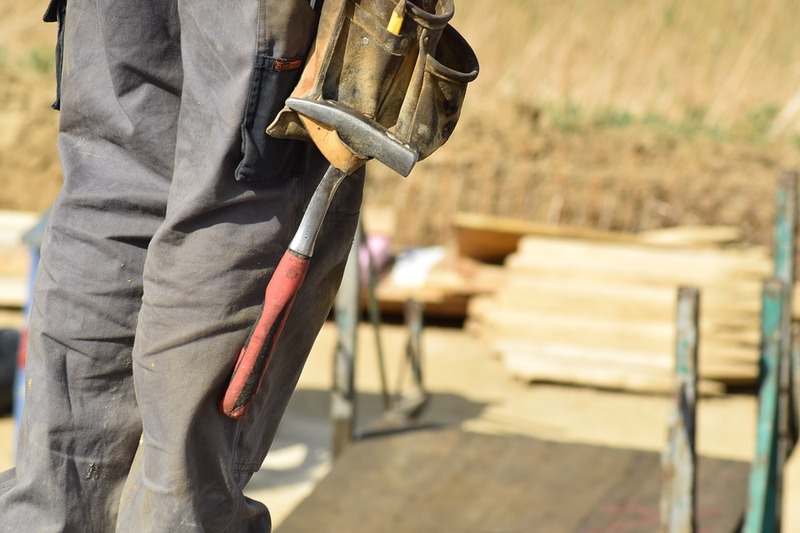 On appeal by the CFMEU and Mr Myles, the Full Court of the Federal Court of Australia upheld two grounds of appeal, one of which was that the primary judge had no power to impose a non-indemnification order under s 545(1) of the Fair Work Act. The High Court by majority (Kiefel CJ, and with Keane, Nettle and Gordon JJ agreeing in a separate joint judgment, Gageler J dissenting) allowed the ABCC’s appeal and held that a court has an implied power to make a “personal payment order”, which arises from the express power in s 546 of the Fair Work Act. This does not extend to the power to make a non-indemnification order. A court does not have the power to make a “non-indemnification” order under s 545 of the Fair Work Act, as this provision is limited to making appropriate preventative, remedial and compensatory orders and a non-indemnification order cannot be characterised as such, given its penal nature (at ). In the joint judgment of Keane, Nettle and Gordon JJ, their Honours stated that from the express power in s 546 of the Fair Work Act to make an order that a person pay a pecuniary penalty, arises the implied power for the court to make orders to do what is reasonably required for, or ancillary to, the accomplishment of the deterrent effect that the pecuniary penalties provided for within that section are designed to achieve (at , . ). 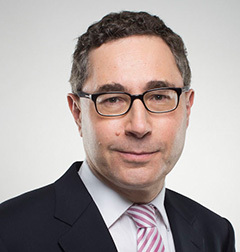 Their Honours (at , and Kiefel CJ at ) found that the implied power under s 546 includes the power to order that a contravener must pay a penalty personally, and not seek or accept any indemnity from a co-contravener, known as a “personal payment order”. It was therefore open to the primary judge to make a personal payment order under s 546 that Mr Myles not seek or receive an indemnity payment from the CFMEU for the pecuniary penalty (at ), though this was not the approach adopted in the initial hearing, where the primary judge had relied upon s 545(1) to order that the CFMEU was not to indemnify Mr Myles against the penalties ordered. The principal object of s 546 is deterrence, and about penalising contravention of the law (at ). It would be too narrow an interpretation of s 546 to deny that it extends to orders designed to ensure a person cannot defeat the purpose of an order that they pay the penalty imposed upon them (at ). Their Honours acknowledged concerns about problems with enforcement of personal payment orders as legitimate (at ), but noted that any person who aids, abets, counsels or procures contravention of such an order may be found guilty of contempt, and that the burden of finding the source of funds, aided by discovery for example, would not be insurmountable. Kiefel CJ (at ) considered that concerns about enforcement cannot prevent the courts from exercising their power, nor can it restrict the implied power. It was not open to the court to make a non-indemnification order against the CFMEU. This would fall outside the implied power because it would be made against a party which was not the subject of the pecuniary penalty and it would impose upon their freedom to conduct their own affairs, so it would not be incidental to the exercise of the power under s 546. Keane, Nettle and Gordon JJ found there is no power, express or implied, in the statute (at ). Unions and their officials should be aware that contraventions of the civil remedy provisions of the Fair Work Act may expose both the individual and the union to penalties, and a court may order that the individual is not to seek or accept indemnification by the union in paying those penalties. This case makes clear that a court may make such an order to strengthen what a court sees as the deterrent effect of the legislation, particularly in circumstances where the evidence suggests there is a strong likelihood that a co-contravener will indemnify an individual, or where there is a history of contraventions (though this is not a precondition to the making of an order). We recommend seeking urgent legal advice before any action is taken by anyone which could potentially contravene a provision of the Fair Work Act. The High Court in this case briefly touched on the express prohibitions on persons being indemnified against pecuniary penalty orders in s 77A of the Competition and Consumer Act 2010 (Cth) and s 199A(2)(b) of the Corporations Act 2001 (Cth), which the writer notes are more relevant to corporate entities. The High Court found these provisions contributed nothing to determining the scope of a court’s power under the relevant Fair Work Act provisions. Jade is a commercial and dispute resolution lawyer based in Sydney. She advises in various litigious and non-litigious matters involving individuals, unions, and corporate clients.